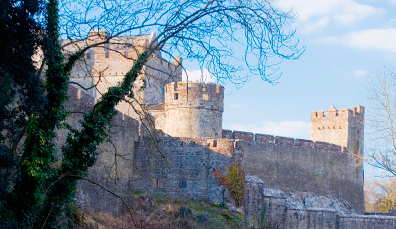 Explore medieval castles, distilleries and Mesolithic hunting grounds. 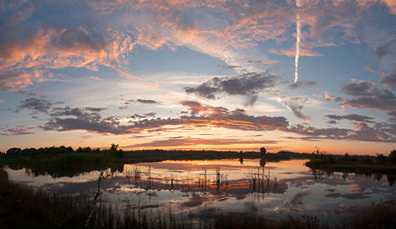 Moving through swampland-turned-sacred settlement where a saint lived and died. Marvelling at monumental bridal dowries far beyond the realm of modern times. Exploring the extravagance of a rich man and a magnificent castle sold for a mere £50. 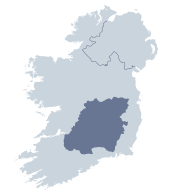 You’ve reached the Historic Heartlands, and counties Offaly, Laois, Kildare, Tipperary, Limerick, Carlow and Kilkenny. A place where epic alliances were forged in love and expedience were born, carved into the land and the traditions honoured ever since. Uncover supernatural tales of hellhounds and hidden treasure. See ancient dolmens, wander through medieval castles perched on hilltops and discover just how advanced prehistoric hunters really were. This is Ireland’s Ancient East… and it’s time to wander through 5,000 years of history. 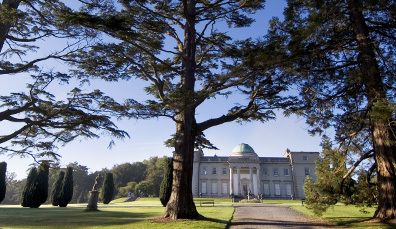 The first and largest Palladian manor in Ireland, this Renaissance-inspired abode is a sight to behold. Set on an estate boasting pretty river walks and open parkland, the house itself is flanked by two extravagant wings. 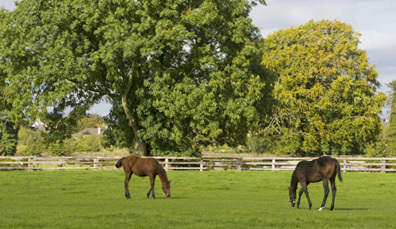 It was said that Conolly would require 240 horses to bring his half-year’s rent from Dublin to Castletown. William Conolly was his name and dubious deals during the Williamite War in Ireland (1688-1691) had earned him a colossal fortune. 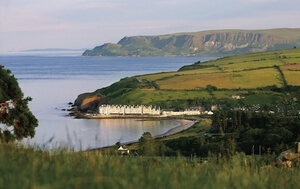 When he died, Conolly was one of the richest men on the island and owned a staggering 100,000 acres of land. That’s equivalent to 75,625 football fields. At the heart of this acreage? Castletown House. 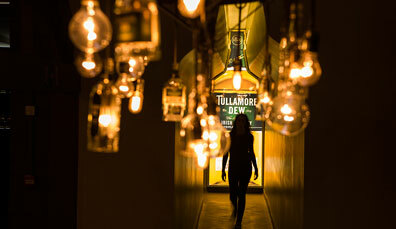 On the banks of the Grand Canal in County Offaly sits the 19th century warehouse that is home to Tullamore D.E.W., so named after the whiskey's creator Daniel E Williams. Connoisseurs will delight in the tasting tour, while novices can journey through Ireland’s whiskey-making history. Life in the Mesolithic era was simple: hunt, eat, sleep, repeat. 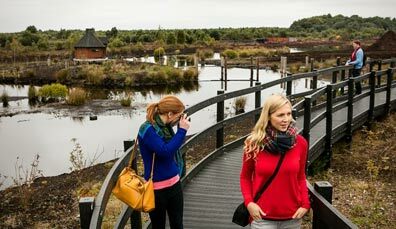 And so it was in Lough Boora Bog where the stone blades, axe and arrow heads of hunters were discovered beneath the mire – as well as an Iron Age bog body complete with stab wound. 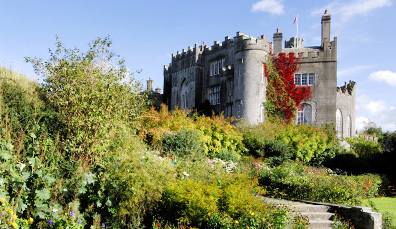 Surrounded by the lush landscaped gardens of Birr Castle, William Parsons yearned to understand the star-strewn heavens above. His ever-impressive Leviathan telescope remains at the castle today, an abiding testament to his passion for astronomy. When St Ciaran and Diarmait mac Cerbaill met on the banks of the River Shannon in the 6th Century, neither could have predicted that the site, Clonmacnoise, would become one of the leading centres of religion and learning in Europe. Like nearly all monastic settlements, Clonmacnoise was plundered on several occasion by invaders, including the Vikings. Sadly, Ciaran didn't live long enough to see the cathedral, churches, round towers and crosses that the spiritual spot would host. Romanesque doorways, 13th century castles and the remains of St Cronan's ancient monastary: Roscrea wears its history on its sleeve. No surprise, then, that this handsome market town enjoys National Heritage status. 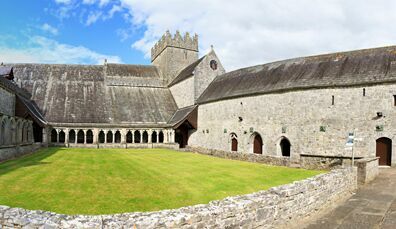 This 12th century abbey once held a particle of the True Cross and was one of the most visited pilgrim sites in Ireland, with the devout travelling from all over Europe to view the cloisters, “whispering arch” and carvings. 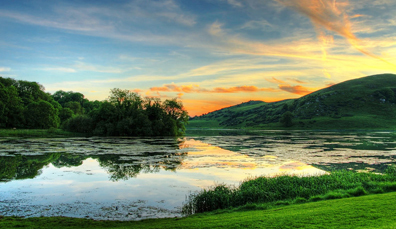 Gazing beyond Lough Gur’s still waters to Knockadoon Hill, it’s not hard to see why these beautiful shores have been settled since Neolithic times. Today, history, nature and science converge at the Heritage Park. Sitting on a towering rock said to have been discarded by the Devil no less, the Rock of Cashel looms large over Ireland’s history. Centuries' worth of Middle Age structures, including a tower, Gothic cathedral and castle, are at the centre of the splendour. Viewed from afar, the Rock of Cashel is a captivating sight, a freak and solitary lump of limestone, reflecting the light in diverse ways throughout the day. Here, saints converted kings and brutal massacres took place. A sacred space, a medieval masterpiece and an enduring icon: this is no ordinary rock. You can’t turn around in Ballyhoura without bumping into an epic castle, timeworn monument or religious relic. 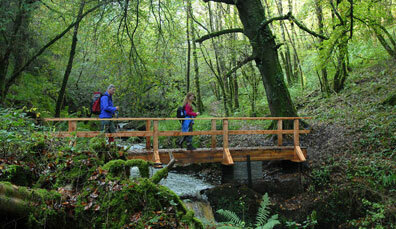 Nature trails crisscross the wooded mountain area where the weapons of Bronze Age warriors have been unearthed. Cahir is a force to be reckoned with. 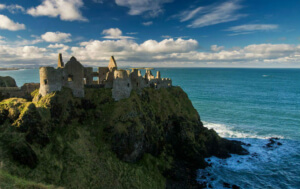 Designed for defense, this hulk of a castle sits imposingly on the River Suir, and seems to grow out of the very rock it sits on. It's been the site of sieges, bombardments and even a murder. 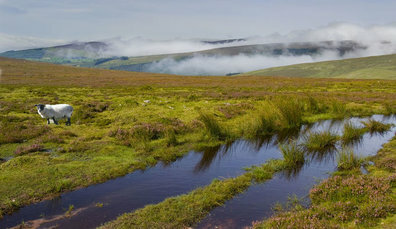 Sprawling across counties Tipperary and Limerick, the Galty Mountains range is a playground for walkers. With Galtymore as its highest peak, the range includes Lough Diheen, said to be guarded by an unruly serpent, banished here by St Patrick. It was an historic day when James Arthur Butler, 6th Marquess of Ormonde, handed over the keys to his ancestral home, Kilkenny Castle, in 1967. His family had been there since 1391, but with the building in disrepair he gave it to the people of Kilkenny for a mere £50. Kilkenny owes its charm to its beautifully restored buildings and winding slipways surrounding the magnificent Kilkenny Castle. 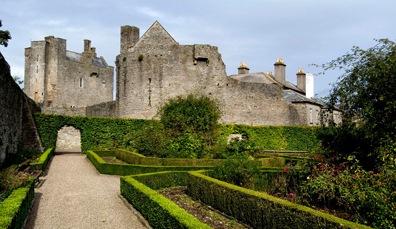 The lucky recipients responded by turning the Norman castle into a cultural hub, hosting classical music recitals, exhibitions and ornamental gardens. Gently crumbling, skilfully carved and boasting exquisite details, the cloistered arcade is a real highlight of Jerpoint Abbey, founded in 1158. At the visitor centre, you can uncover more about the life of the Cistercian monks who called the abbey home. 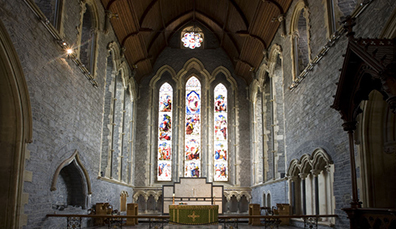 Known as Kilkenny’s Sacré-Coeur, St Canice’s Cathedral is a Gothic gem. Home to a 100-foot round tower, the cathedral also hosts the ghost of Dame Alice de Kyteler, tried for witchcraft 750 years ago. Raise a toast to her in nearby Kyteler's Inn. 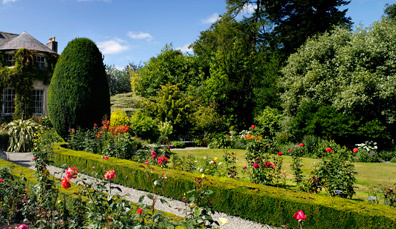 The Robinsonian-styled Altamont Gardens of Carlow are a bubble of tranquility. Meander past the lake, around 40 acres of sculpted yews, roses and rhododendrons, to the ‘Ice Age Glen’ and a beautiful riverside walk. Legend insists that treasure is hidden here… guarded by the hellhound, a dog with enormous jaws and flaming mouth. Part of a magnificent dowry, Norman lord Strongbow was gifted the castle when he married Aoife Rua, daughter of the King of Leinster, in 1172. Today, the breathtaking views remain almost unchanged from when Aoife first gazed over her domain one thousand years ago. It's hard to imagine a time when tranquil Emo Court was punctuated by the yells of the 1798 Rebellion and War of Independence. The earls are long gone but their legacy remains in this glorious estate. Monk Thomas Foran was the lone survivor when his monastic order was massacred over three centuries ago. 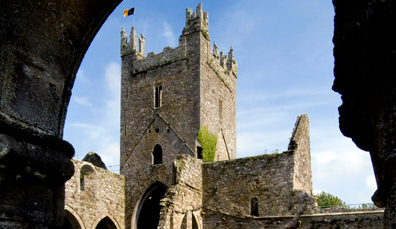 Now a heritage park with millennia-spanning exhibits, the site was founded by St Patrick and his imprint remains. 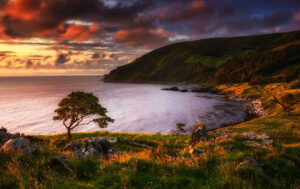 Fact: Ireland's Ancient East is defined by its past, all 5,000 years of it. But that doesn't mean that this historic region doesn't know how to have fun. 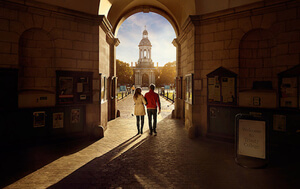 Across the counties of Ireland's Ancient East, countless festivals are celebrating art, opera, comedy, food, music and more.